This past weekend, Wayne Rooney notched his 250th goal for Manchester United, becoming the club’s all-time leading scorer. 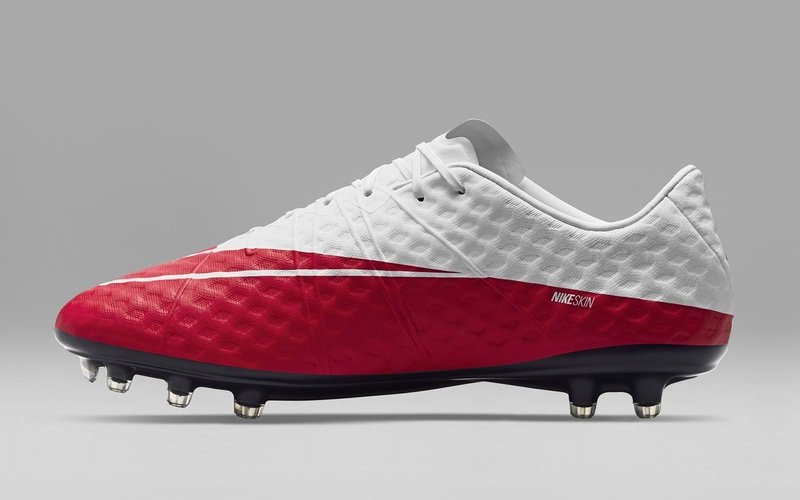 To celebrate Rooney’s achievements, Nike introduces a special edition Hypervenom WR250. 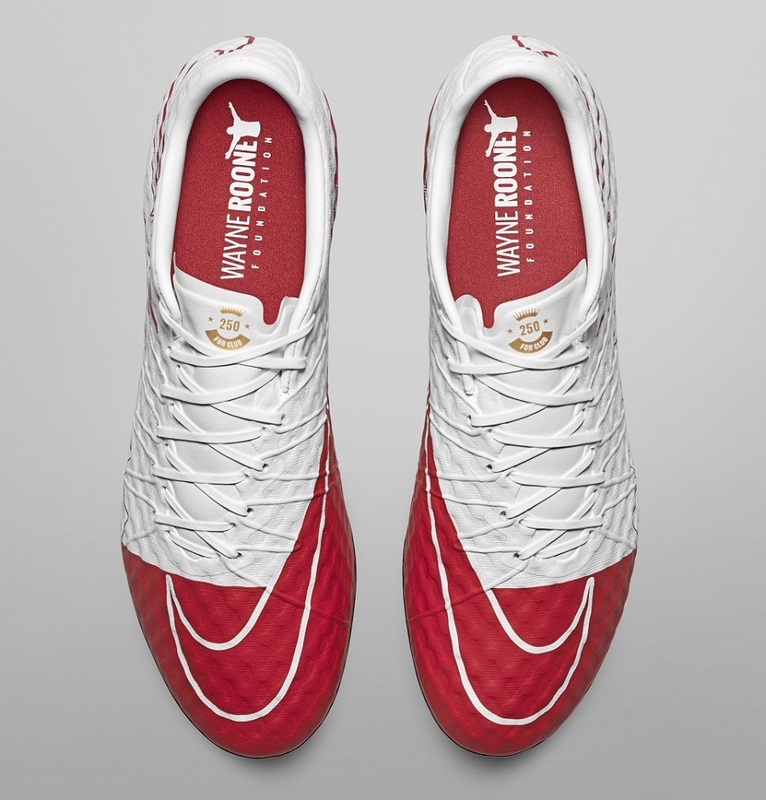 The boot features the colors Rooney dons for both club and country: red and white. 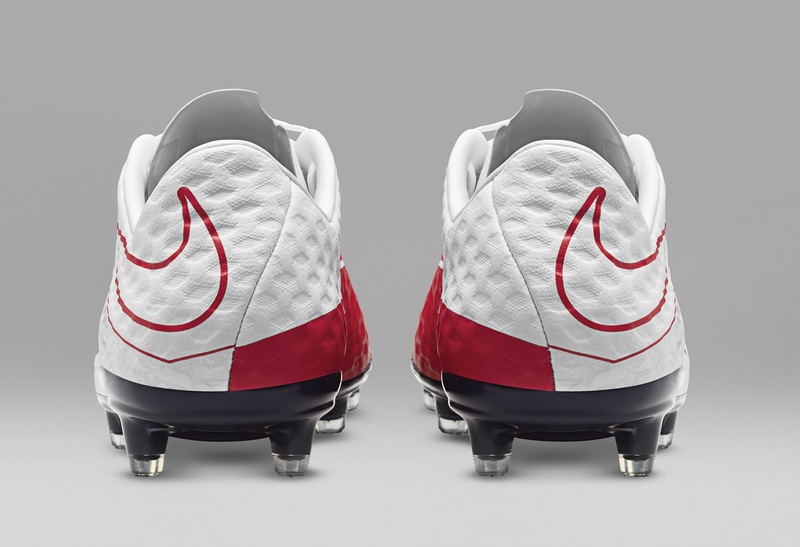 To highlight Rooney’s new record, a special logo was created featuring a crown and his record breaking number, 250, on the tongue of the boot. 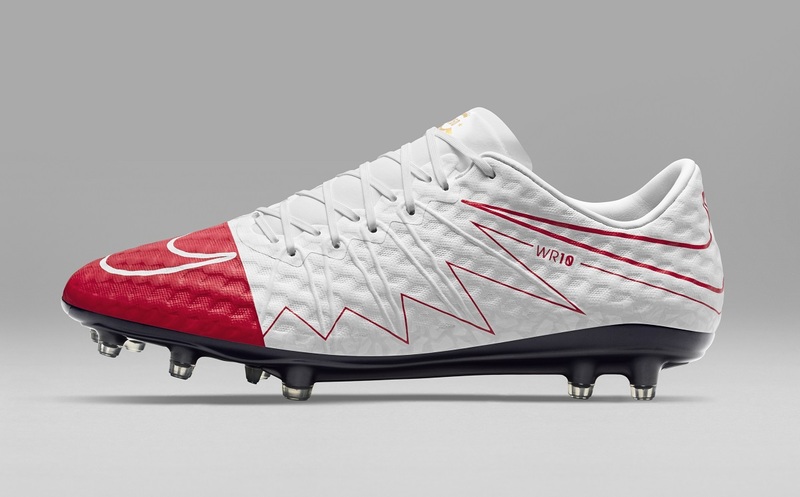 WR10, referencing his squad number, is featured on the side of the boot. Additionally, the detailing of the aglets was also inspired by both the colors of his club and country. 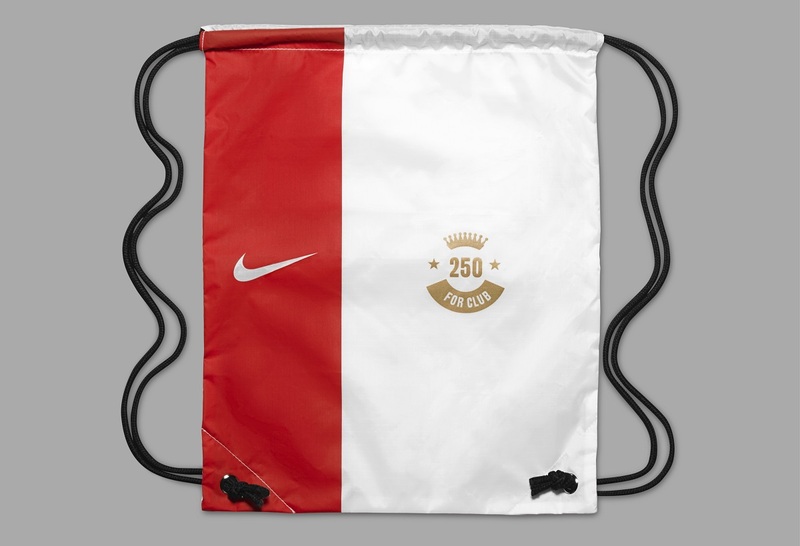 Available in limited quantities at soccer.com and wegotsoccer.com. I want the best for not only my kids, but all children. That is why I started the Wayne Rooney Foundation. Every goal I’ve scored has been scored in Nike boots and I appreciate Nike highlighting my foundation with these boots, not just the record. 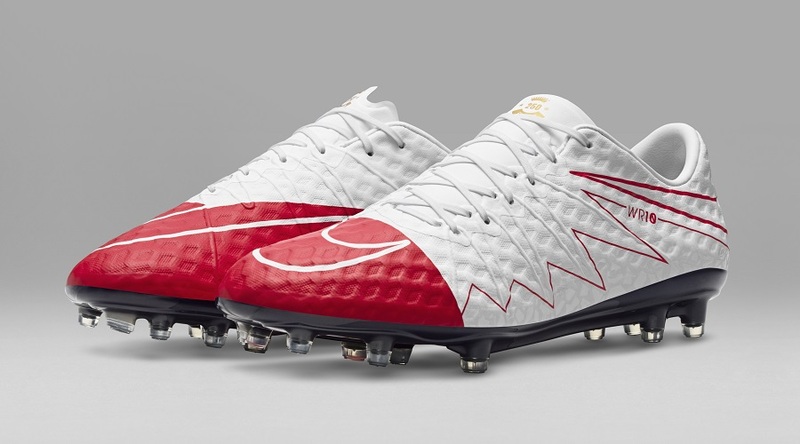 Given the fact that Nike introduced the Hypervenom 3 last week, you know that they have probably been sitting on these boots for a while. It took Rooney a little longer than expected to get that 250th goal, so you have to wonder if there was serious relief at Nike HQ as he banged in that spectacular free kick at the weekend! Still, what an accomplishment. If you are looking to pick up a limited edition pair, check soccer.com and wegotsoccer.com.